The IBF has ordered champion Carl Froch to rematch George Groves within 90 days, or be stripped of his world super-middleweight title by the International Boxing Federation..
On Tuesday we reported that George Groves had approached the IBF in hope of forcing through a rematch with the Cobra, his argument was based on referee Howard Foster Jr decision being unjust in stopping the fight prematurely. Then on Thursday Carl Froch surfaced, he stated that he would like to give Groves a rematch. But said that he would like to face Juilo Chavez Jnr first, he also claimed that Groves had already turned down a seven-figure offer to face Froch. Froch said on Friday: “Yesterday, we made a seven figure offer to George Groves for a second fight that would have seen him earn around double that of the first. Disappointingly, George rejected this offer so we are continuing our talks with Top Rank and HBO regarding Chavez Jnr. There has been a lot of back and forth between the two fighters since their first fight in regards to the outcome of the fight and a potential rematch. George Groves then replied to Froch, he said; “I am unsure why Carl Froch has released a statement implying I do not wish to take the fight, as I was under the impression we are still in negotiations. Earlier Groves spoke of his delight at hearing that the IBF had ordered a rematch, he added; “The fact I’m mandatory now is the most important thing. As long as myself and Carl want this fight, the fight will take place. “If he doesn’t want this fight, then the fight won’t take place but I’ll still fight for a world title. That’s what’s most important to me – fighting for a world title. I want to fight Carl Froch but to a certain degree, that’s out of my hands. Should a rematch be sorted out and date has been set, one thing is for sure. Boxing fans will be in for another treat. 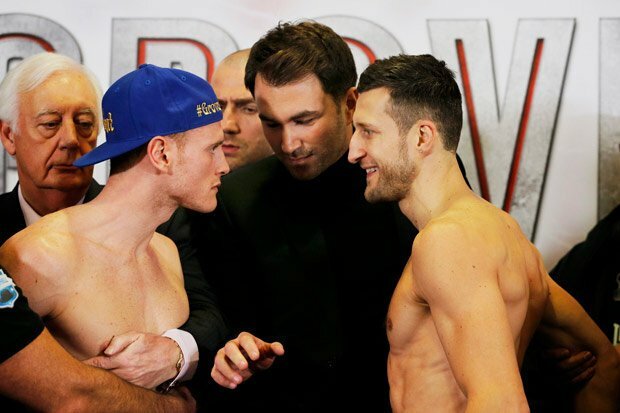 Watch Live Boxing Online Carl Froch v George Groves Hd Streaming Live Here watchtheboxing.net.